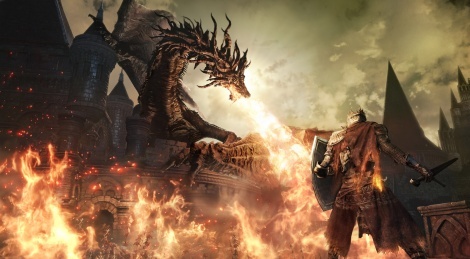 Third and final part of the saga, Dark Souls III is certainly the most anticipated games in the series. After a successful first episode marked by its difficulty and its incredible level design, the second game tried to do better a few years later but failed to convince everyone. Having received a copy of the game recently, we can't propose a review yet, but there will obviously be one on hte French side as soon as possible. To make it up for you guys, we are happy to show you the beginning of the adventure captured on PS4. Inside, you'll get to see a few simple fights, some more complicated ones and also the first boss encounter. Next Tuesday man, can't wait! Is this the patched version? Well, the reviews are great. The only thing I worry about as I heard from my good source is that is the most easiest part of the Souls games. And the game is short. Of course as a Souls game. Blind walkthrough without few optional bossess - 33h. Dark Souls 1 on pc probably isn't the best comparison of completion time assuming you're counting the dlc that came with the pc version. 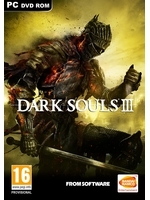 Hope to see your pc video of ds3. Btw, anyone know whether gtx965m will handle the 60fps game play? Already bought the ps4 version, want to play the so-called complete version of this game, but not sure whether my gaming laptop can play this game with 60fps, also, my desktop is gtx760, 60fps ok or not? The first souls-game you play will most likely be the hardest as you're learning with each you play. What's interesting is how hard DS3 is for someone who's not played any games in the series before. The game could be the hardest in the series, but if you've played the others 1000's of hours you will probably not have big problems with it. So far about 20 hours ... got the Japanese XB1 Version. The Game is faster but somehow only the Enemies seem to have an Advantage. I just found out the Collector's Edition won't include the season pass! That's lame. Now I have to go to Gamestop, because PSN only sales the deluxe edition for the season pass.